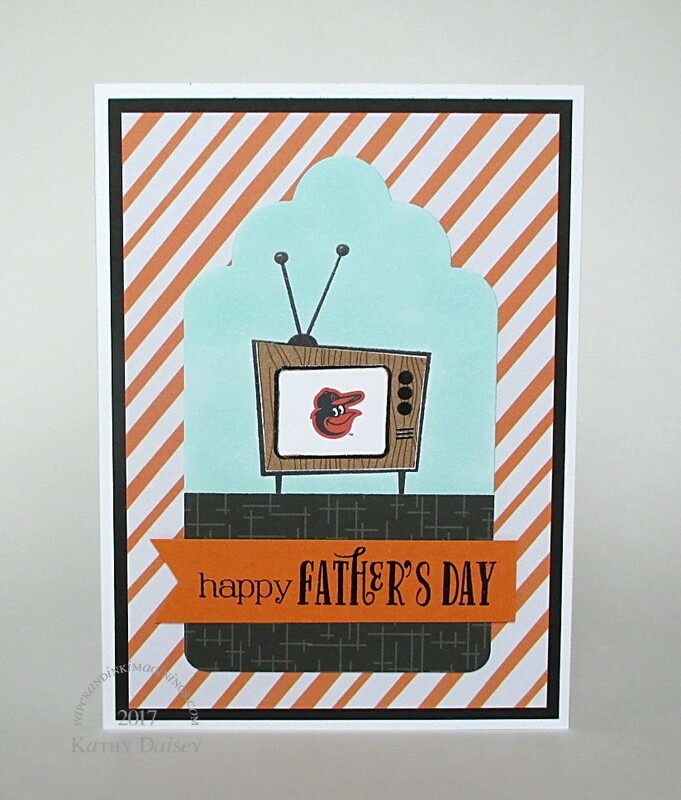 Last of the Father’s Day cards for this year. I made this for hubby Saturday night, knowing that he and 2 of the Offspring were attending the Air Show (on the beach) on Father’s Day. Supplies: Stamps – Essentials by Ellen, Expressions in Ink, Hero Arts, ImaginAir Designs, paper – Neenah Classic Crest Solar White, Stampin’ Up! Real Red, inks – Copic BG0000, C1, Hero Arts Unicorn, Tim Holtz/Ranger Distress Inks Blueprint Sketch, Salty Ocean, Tumbled Glass, VersaFine Onyx Black, Smokey Gray, die – Taylored Expressions, stencil – Inky Antics, embossing powder – Filigree Fine Art Powder white, Ranger Super Fine Detail clear. 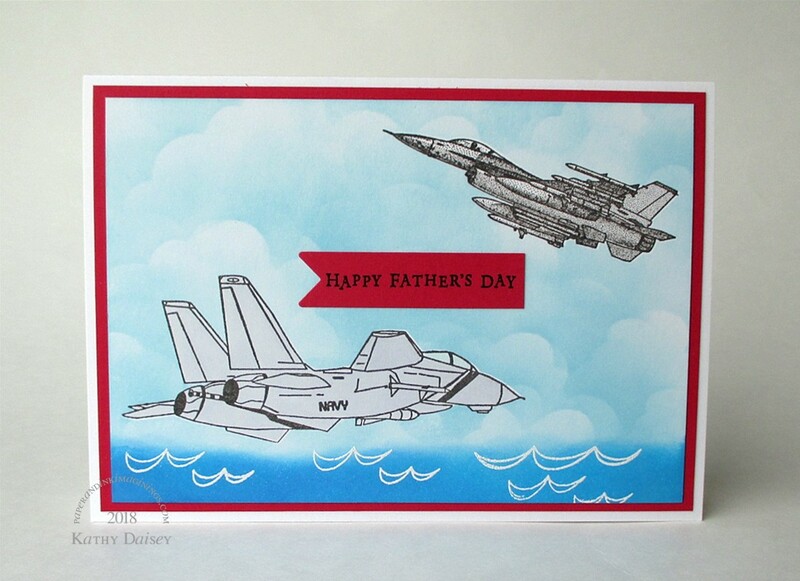 Categories: card, Father's Day | Tags: card, Copics, Essentials by Ellen, Expressions in Ink, Hero Arts, ImaginAir Designs, Inky Antics, Neenah, Ranger, Stampin' Up!, Taylored Expressions, Tim Holtz, Tsukineko, VersaFine | Permalink. 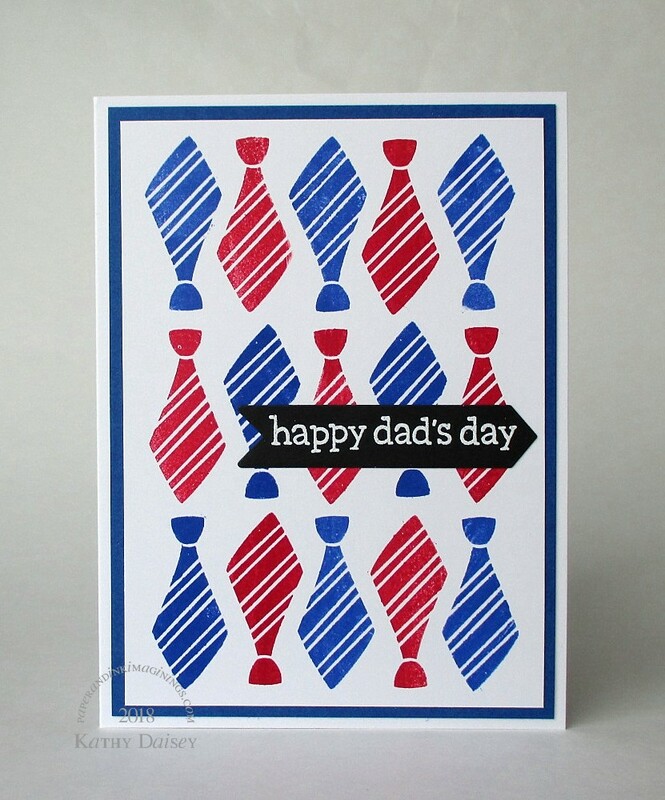 I remember the only choices for Father’s Day cards (at least at the pharmacy where I shopped before age 10!) in my youth were decorated with neckties or fishing images. My Dad did wear a necktie to work, he had no interest in fishing. He no longer wears a necktie that often, he still isn’t interested in fishing. Supplies: Stamps – Lawn Fawn, paper – Gmund Royal, Neenah Classic Crest Solar White, Stampin’ Up! Basic Black, inks – Hero Arts Unicorn, Stampin’ Up! Brilliant Blue (retired), Real Red, die – Taylored Expressions, embossing powder – Filigree Fine Art Powder white. 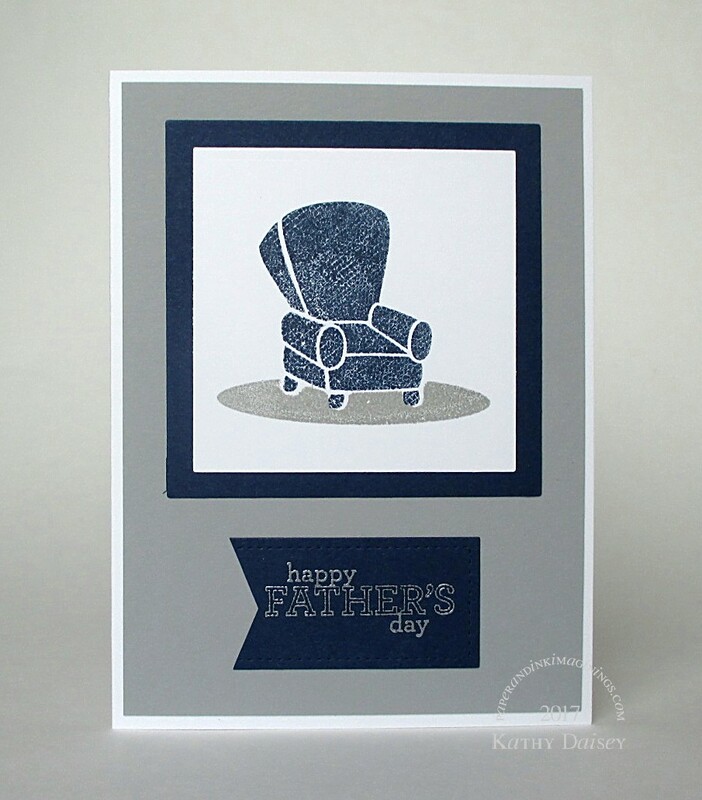 Categories: card, Father's Day | Tags: card, Gmund, Hero Arts, Lawn Fawn, Neenah, Stampin' Up!, Taylored Expressions | Permalink. Supplies: Stamps – A Muse Artstamps, Lawn Fawn, Stampin’ Up!, paper – Neenah Classic Crest Solar White, Stampin’ Up! Night of Navy, Smoky Slate, inks – Stampin’ Up! Night of Navy, Smoky Slate, VersaFine Smoky Gray, dies – Lawn Fawn (stitched rectangle), Spellbinders (squares), embossing powder – Ranger Silver Pearl. 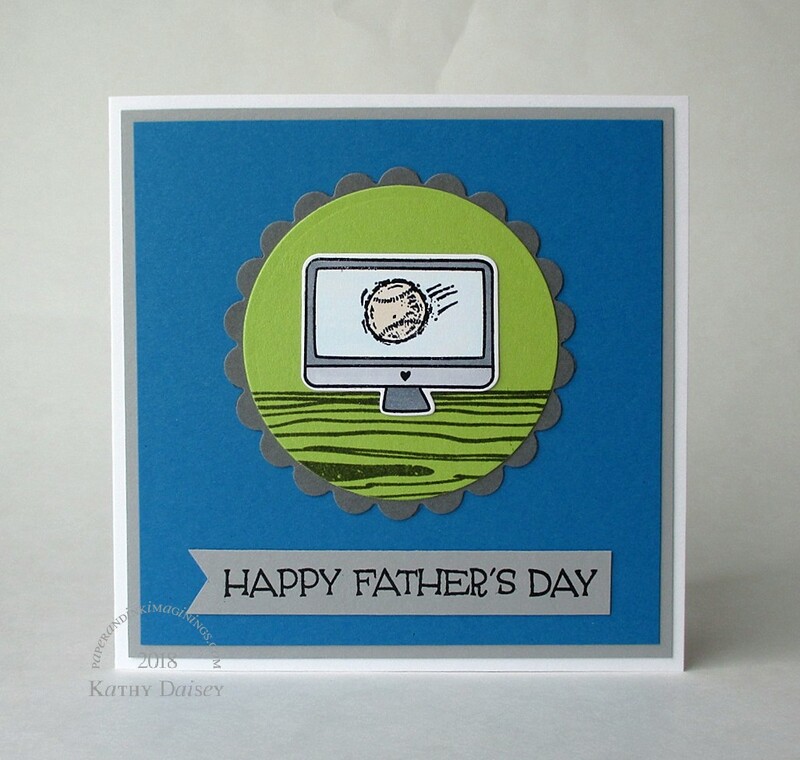 Categories: card, Father's Day | Tags: A Muse Artstamps, card, Lawn Fawn, Neenah, Ranger, Spellbinders, Stampin' Up!, Tsukineko, VersaFine | Permalink. 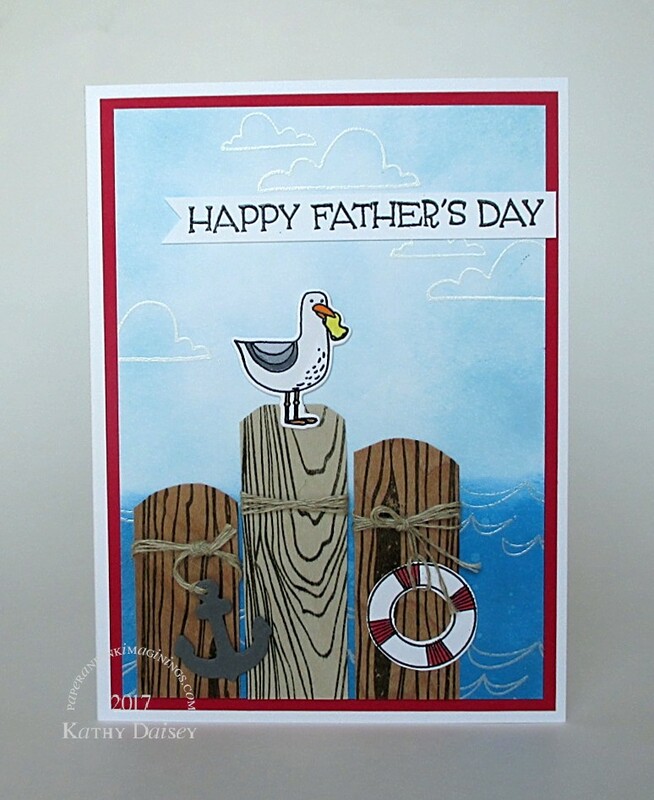 I was trying to think of a theme for a Father’s Day card for hubby…and my eyes fell on the seagull in the Stay Salty set from Ellen Hutson. Not your typical inspiration, right?? I blended the ink background, and stamped/embossed the clouds and wave crests. Think think….how do I want my seagull to be here? What about a piling, near a dock or jetty? Oohhhhh…I have that sampler pack of wood paper. I stamped wood grain stamps onto the wood paper – just for more detail, and cut the tops by hand. The linen thread was added as rope. Doing the happy dance about the finished card! Supplies: Stamps – Essentials by Ellen, Hero Arts, Papertrey Ink, paper – Neenah Classic Crest Solar White, Paper-Papers wood paper, Stampin’ Up! Basic Gray, Real Red, inks – Copic C00, C3, C5, C7, R29, YR04, Y11, Y13, Hero Arts Unicorn, Ranger Perfect Medium, Stampin’ Up! Early Expresso, Tim Holtz/Ranger Distress Inks Salty Ocean, Stormy Sky, Tumbled Glass, VersaFine Onyx Black, dies – Essentials by Ellen, embossing powders – Filigree Fine Art Powder clear, white, Ranger Silver Pearl, linen thread – Stampin’ Up! 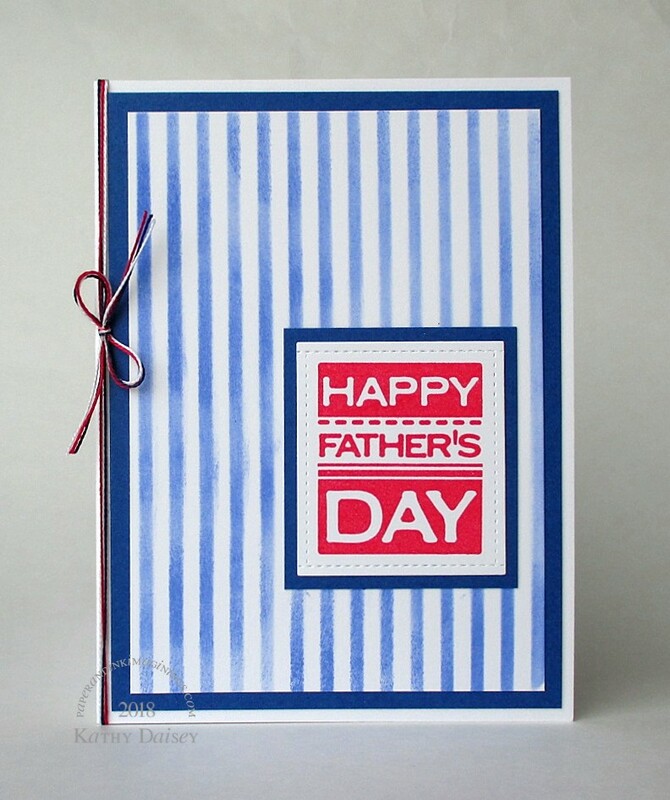 Categories: card, Father's Day | Tags: card, Copics, Essentials by Ellen, Hero Arts, Neenah, Paper Papers, Papertrey Ink, Ranger, Stampin' Up!, Tim Holtz, Tsukineko, VersaFine | Permalink.